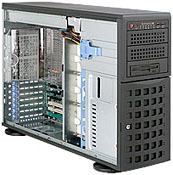 EMC2 will build for you a desktop or workstation to your desired specifications. All of our components are industry standard and have been tested for compatibility and reliability. Only the highest quality components are used. Our systems are currently integrated into many different environments, from the home office to the mission-critical office desktop. Time has proven our systems to be reliable. Because of our ability to build your computer uniquely designed to your needs, we are able to provide you with a complete package especially for you. We offer machines in all shapes and sizes and with a variety of options. All of our machines are up-gradable and expandable. For more information please contact us with your needs. We are a value-added reseller for Gammatech USA. We are able to offer you their complete line of laptop Computers. For model types and specifications, please refer to their web site at gammatechusa.com and then call us for the best pricing and availability at 908-995-2697 ext. 3 or contact us via e-mail. Contrary to popular belief, all servers do not have to be overpriced and complicated. EMC2 has the experience in building servers that meet your current needs and have the ability to grow with you. We understand the confusion that can exist in comprehending the functions of servers. Allow us to help you design a server that you can use. Regardless of your needs, single or quad processor, single drive or a RAID tower, we can build a server that will support your needs and be affordable. For more information please contact us. This website is ©Copyright 2019 EMC2, LLC. All rights reserved.